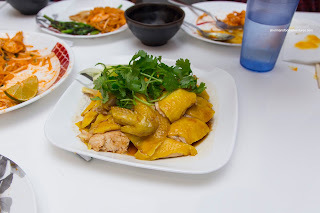 Usually, when one thinks of Burmese food and the Bay Area, the name Burma Superstar is always the obvious choice. Make no mistake, I really do want to visit the place and maybe one day I will. It just hasn't been convenient for us to do so. But back to my point, no one thinks of Mingala Restaurant located in Fremont (except those who live there...). It was somewhat of a random choice by my uncle when we all met up for dinner. 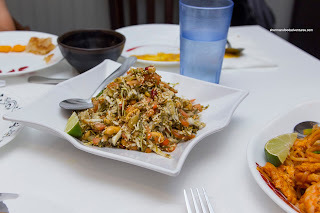 Looking over the menu, it seemed more like a mish mash of Burmese, Thai and Malay dishes. 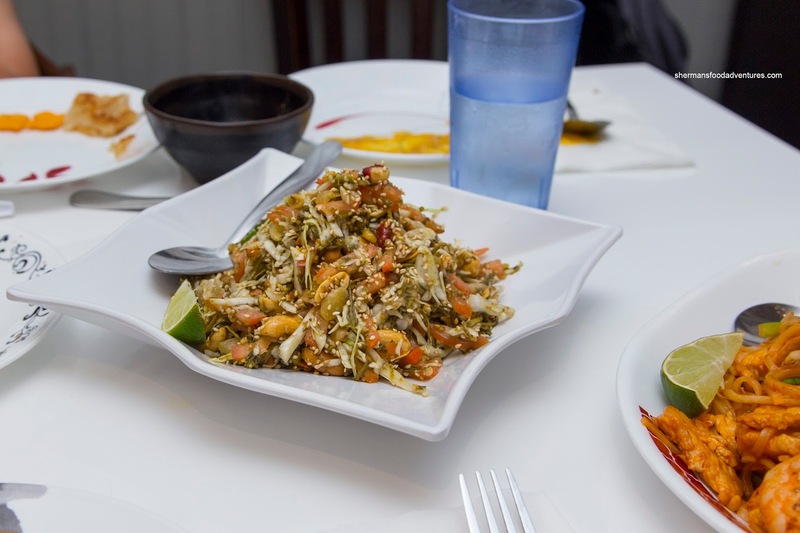 As such, we got a little of everything to start including the Laphat Thoke (Burmese Tea Leaf Salad) consisting of tea leaves, fried lentils, peanuts, chili, tomatoes, cabbage, sesame seeds and dried shrimp. Okay, I'm not a tea leaf salad expert, but I found this one a bit bland and lacking in crunch. With that being said, it wasn't bad though. There was still some tea leaf essence to go with the brininess of the dried shrimp. Next, I sampled the Pork Rib Soup which was lightly seasoned, but was meaty due to the tender pork ribs and also Earthy due to the shiitake mushrooms. Moving onto the Roti Pratha, I found it to be a little dense, but this type of roti tends to be that way. Maybe, they could've spun it looser or with more space between sections. It could've been crispier and less greasy as well. 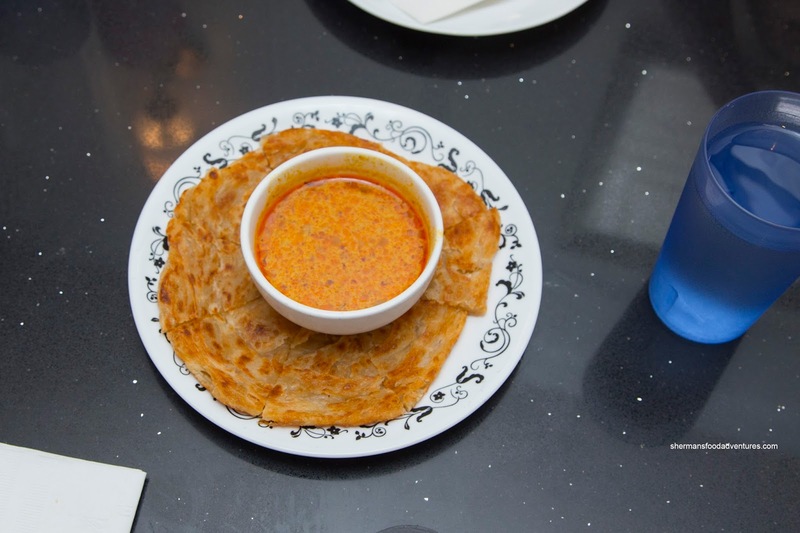 The side of curry sauce was mild, yet aromatic and successfully flavored the roti. 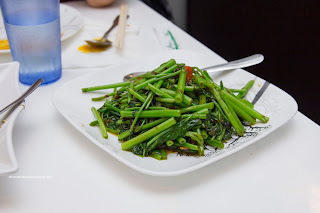 One of my favourite dishes was the Belachan Ong Choy with dried shrimp paste, garlic and ginger. There was plenty of wok heat that lead to the caramelization of the ingredients. This meant the brininess of the shrimp paste was super impactful as well as the garlic and ginger. Furthermore, there was a smoky sweetness from the stir-fry. 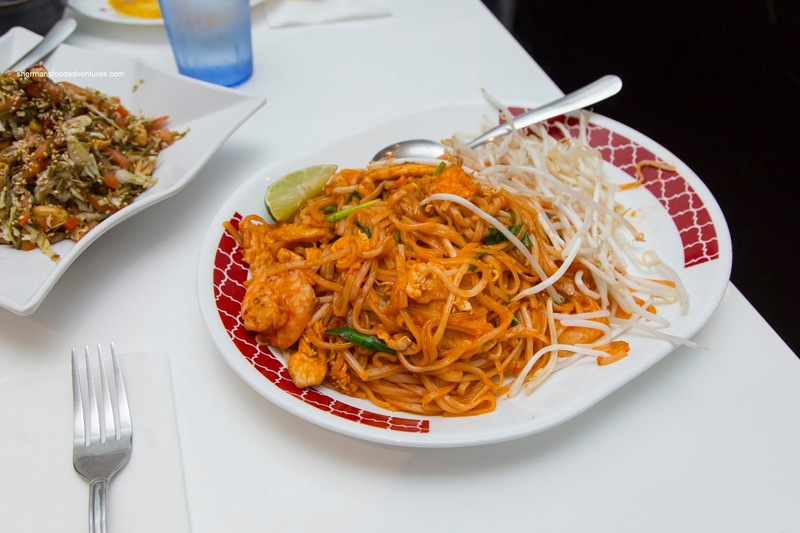 For the kiddies and carb-lovers, we had the Pad Thai prepared with shrimp. This was average in my books due to the omission of pickled turnip and pressed tofu. I found the flavours to be one note with a slight tang and mostly sweetness. 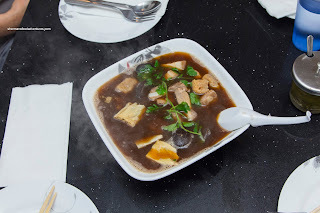 There was a lack of smokiness from intense wok heat and the aggressive tartness from tamarind. Textures were on point though with chewy noodles and crunchy sprouts and meaty shrimp. 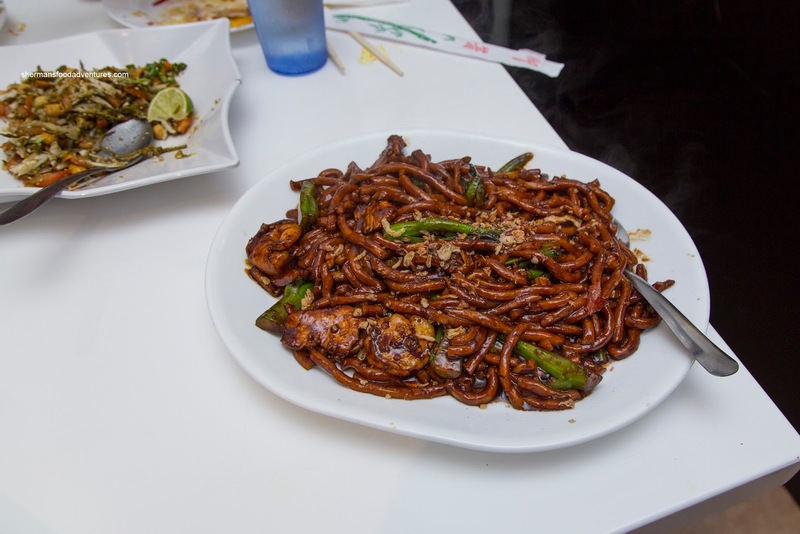 Looking rather dark, the Hokkien Noodles were doused in an alarming amount of dark soy. However, the dish ate a lot better than it appeared with muted sweetness and surprisingly mild saltiness. The dish was a bit wet where the noodles were soft though. Our last 2 dishes were the Hainanese Chicken and Ying Yang Noodles. The chicken was a bit more firm that I would've liked, but it was still tender and succulent. It was mildly seasoned where the condiments did their thing. 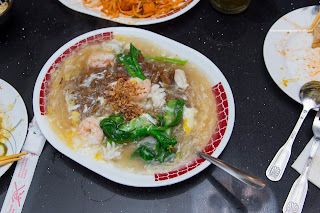 As for the noodles, they were saucy as expected with creamy egg sauce along with shrimp, squid, chicken and choy sum. Despite the mess of moisture, the noodles were still fine while the ingredients were properly prepared. In general, the meal as a whole was pleasant, yet could've used some tweaks here and there. 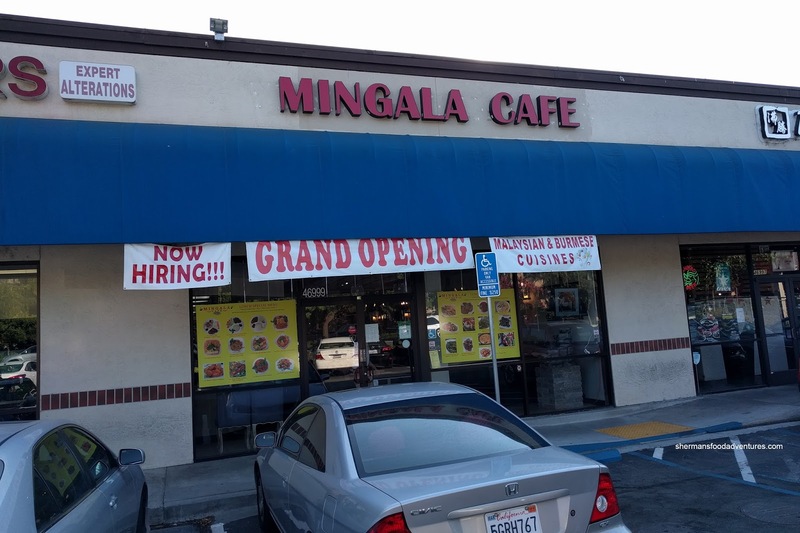 Whatever the case, Mingala does the job as a neighbourhood restaurant.